Hi there, Ryuu was about 9 months old when my husband & I bet on how long he would lay there and how many socks he would let me cover him with. 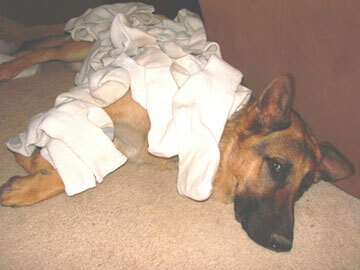 He laid there as I carefully placed every sock! He stayed (without a command) until I picked up every sock; almost 10 minutes.